Singapore Cardfight! Vanguard Online: Vanguard Tournament 12th October ! 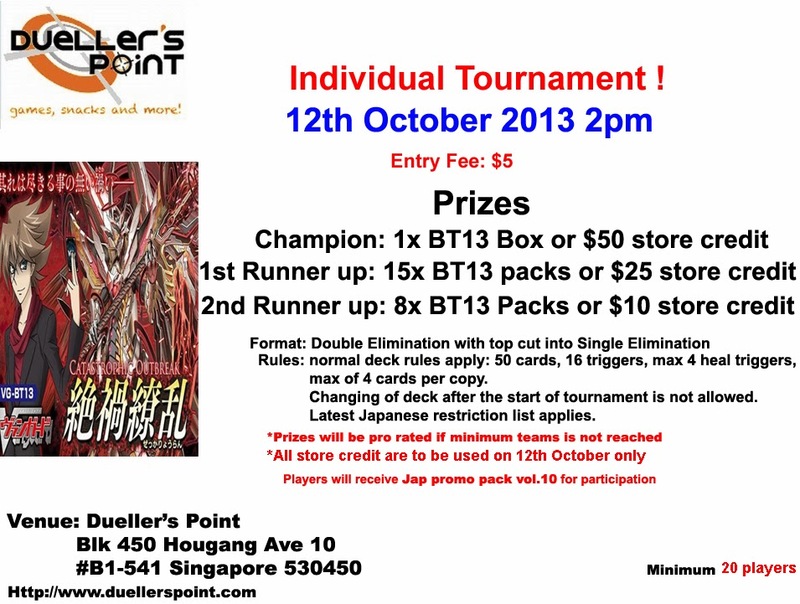 Vanguard Tournament 12th October !